The Midwest Haunters Convention (MHC) returns to Columbus the weekend of June 7, 8 & 9, 2013. This will be the 10th year for the MHC which features a Halloween Trade Show, Bus Tours, Seminars and Parties. The Midwest Haunters Convention is one of the premiere events in the US for providing education, social events and shopping opportunities for Haunted Attraction Industry professionals and enthusiasts. 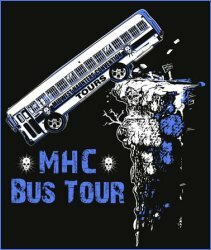 The 2013 MHC features a two day haunted attraction bus tour that will visit haunts in Indiana, Southwest Michigan and the Northwest Ohio areas. Each year the bus tour travels throughout Ohio and surrounding states visiting some of the top haunted attractions in the country. There are a variety of haunts on the tour. 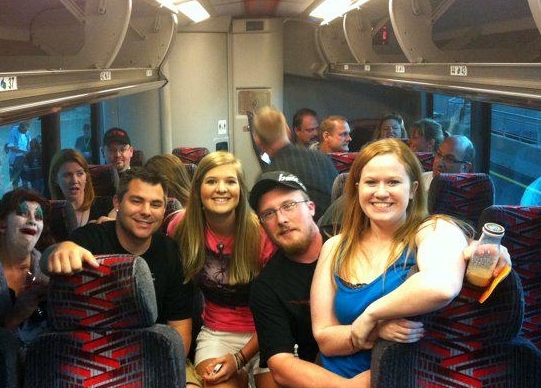 The pre-convention bus tours are popular with haunt owners and actors; along with Halloween and haunt enthusiasts. 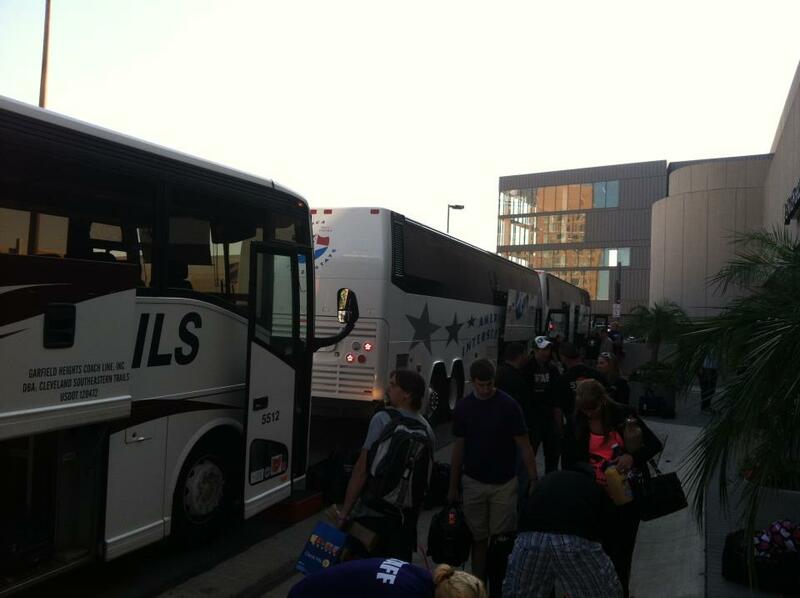 Buses will depart Columbus, Ohio Wednesday morning, June 5, 2013 and return on Thursday, June 6 late in the evening. Most haunted attraction producers and actors are working during October and the MHC bus tours provide them with an opportunity to see what other haunts are doing to entertain people. The trip will include stops at eight haunted attractions and an overnight stay in the South Bend Indiana area. **A bonus was added in to stop at Gerard Industries in Kalamazoo that features a special surprise! On Friday, June 7, 2013 the MHC starts early with workshops on makeup and acting, along with business classes for a variety of attendees. The MHC is also hosting a paranormal bus tour to visit several truly haunted buildings. This will be the second time an entire day will be devoted to searching for ghostly inhabitants at haunted destinations. Last year’s tour sold out several months before the event. Friday night welcomes the return of Scary-oke at the Hyatt along with another haunted attraction bus tour. 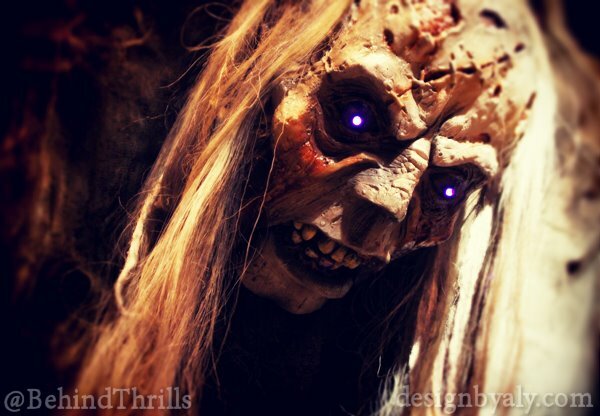 Haunted Hoochie at Dead Acres located in Pataskala, Ohio will be the featured attraction. Buses will also visit Unit 70 Studios for an open house tour of their new facility. Shuttle buses will transport attendees from the Hyatt for the tours. The MHC Tradeshow will be held 9 am – 6 pm Saturday June 8 and 10 am – 4 pm on Sunday June 9 at the Greater Columbus Convention Center. The trade show is open to the public with $5 admission. Over 100 exhibitors will be displaying their haunted house and Halloween supplies for cash and carry sales. The weekend features educational opportunities including demos, seminars and workshops along with a host of exciting social events. Saturday starting at 4:30 pm; the Bloody Mary Monster Makeup Wars competition welcomes five teams of makeup artists from around the country in a competition for cash and prizes. Each team will get 30 minutes to create a monster from the neck up. This fast paced contest provides FX artists an opportunity to showcase their abilities with their piers. Bloody Mary makeup inventor: Bobbie Weiner is a professional Hollywood special effects makeup artist. Bobbie will help judge this horrifically entertaining contest. 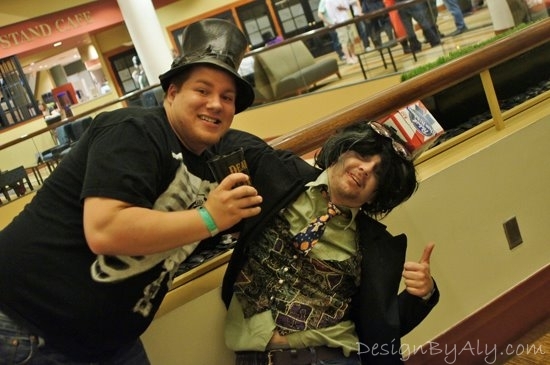 The Monster Masquerade Party at the Hyatt Regency (Saturday 8 pm to 1 am June 8) is the Haunters Gala Event Year. Over 1,500 guests will be on hand for an evening with monsters from around the country. 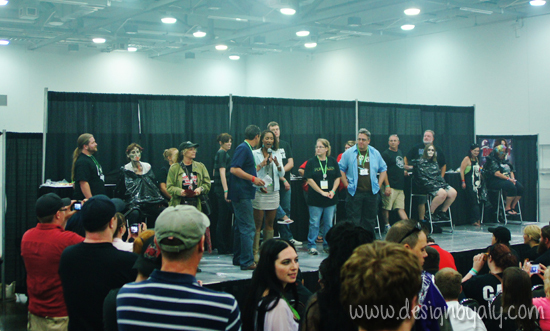 Haunted attraction actors will compete in costume contests for cash and prizes. Eight contestants will be competing for the title and crown of the Scariest Woman in the Midwest. 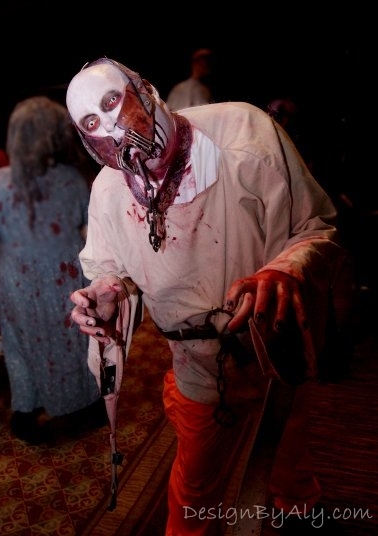 This scary pageant has been rated as one of the top ’13 Freaky Attractions’ by AOL Online. This year all previous winners are invited to attend to compete for the 10th Anniversary Scariest Woman in the Midwest pageant. Judges will be roaming through the crowd handing out invitations to compete in the Scariest Character Contest. Ten contestants will compete on stage for cash and prizes. Haunted attraction actors from around the country will be competing for this coveted award. Hollywood type special effects and movie quality character costumes will provide fantastic photo opportunities. The evening also features a Body Art Fashion Show that features some of the best body painters from around the country. 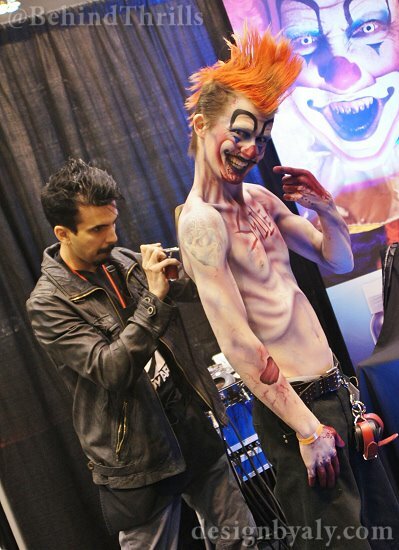 Body art models will be painted with a Halloween Fantasy theme and perform as they strut across the stage. Masquerade Party admission is $40 in advance, $50 at the door, and includes appetizers, DJ and dance floor, stage entertainment including contests for prizes and a place to network and party with lots of Halloween fans in costume. The Midwest Haunters Convention (MHC) attracts haunted attraction producers, actors, makeup artists, entertainers and home haunters. 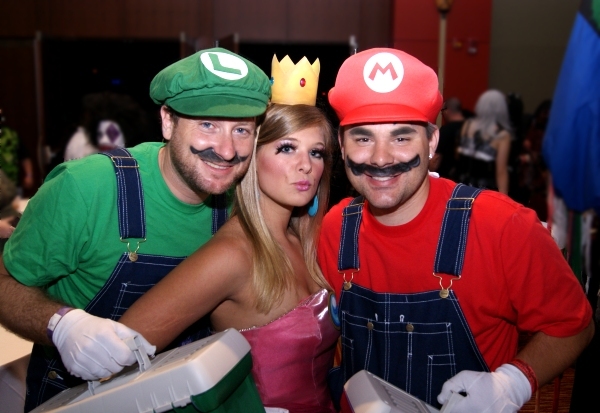 Anyone with a love of Halloween or theatrics will enjoy the many festivities associated with the convention. Below Nix Herrera works his magic applying some body art. MHC is the number ONE haunt social of the year! This is an event you will not want to miss! Attending MHC is one thing, but surviving is a much harder battle! As you can see below, The G was struggling after a LOOOOOOONG weekend… See ya in June! Previous PostInside the construction walls: Antarctica at SeaWorld is getting ready for a May 24th grand opening Next PostKeeper's Tales:BEHOLD! The freaks and oddities of world long forgotten wait for you right behind this curtain!